News and Events > Did Your Accountant Ignore The Most Dramatic Change in Tax Law Since 1986? Did Your Accountant Ignore The Most Dramatic Change in Tax Law Since 1986? What if we had the most dramatic change to the for-profit tax law since the 1986 overhaul and yet over two-thirds of tax preparers ignored it? Or, even worse, two-thirds of tax preparers didn’t even know about the change? What if the tax law was literally changing while tax returns were in the process of being prepared and filed? What if the tax law changes allowed “epic” write-offs and were extremely favorable to the taxpayers – all while two-thirds of tax preparers ignored it? 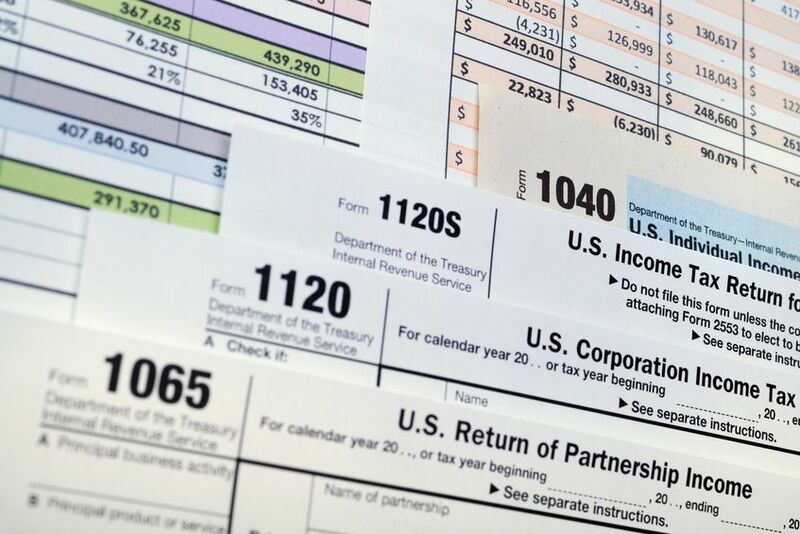 Sounds a little unbelievable, but that’s exactly what happened during the 2015 tax season. The tax law change that took place is referred to as the “Tangible Property Regulations” (TPRs) or “The Repair Regulations.” This change in tax law created unique and unprecedented challenges during January-April 2015’s tax season, as tax preparers were busy preparing 2014 tax returns. The TPRs focused on three major areas that apply to just about every operating business: Materials and Supplies, Maintenance and Repairs, and Capital Expenditures (aka fixed assets). How Could The Most Dramatic Tax Law Change Since 1986 Be Ignored by Two-thirds of Tax Preparers? Well, this change was a long time in the making. The origins of the law go as far back as 2004 – over ten years ago. Since 2004, numerous drafts have been issued, followed by temporary regulations, proposed regulations, even more drafts – you get the idea. The final regulations were at long last passed in August 2014. However, they were made effective retroactive to January 2014 – a full eight months prior. Add to this that most of the nation’s tax preparers were spending most of 2014 focused on Obamacare and its implementation. Many state tax societies, legislators, educators and the like simply didn’t have their eye on the ball or didn’t do a good job communicating the developments or their interpretations of TPRs to the tax preparer community. In addition, various Revenue Procedures (how to logistically interpret the new regulations) were not issued until September 2014, January 9, 2015 and February 13, 2015. Yes, that’s correct. Guidance on how to implement the new law was not issued until a full 14 months after it had taken effect, a full month and a half into tax season when the affected tax returns were in the process of being filed. Lastly, the IRS did not issue answers to the frequently asked questions on their website until March 5, 2015 – a mere 10 days prior to the corporate filing deadline. As I said before, this was an unprecedented challenge for tax return preparers. Here at Canon Capital, we lost weeks – not days – in January 2015 going through educational courses on the new law and its requirements. In essence, this law was unique in that it required businesses to restate the accounting books and records as if this law had always been in effect. That’s right, we had to go back from the beginning of time for every living taxpayer on our client list, and restate their books as if this was the law from the beginning. To say this created a Herculean task would be accurate. This new law also arrived with unique filing requirements to specifically document the changes, leaving tax preparers like us with the additional challenge of determining how to track and handle these requirements within our internal policies and procedures. Long story short, I’m happy to say Canon Capital rose to the occasion. I also got to witness the goodwill created with our clients over the years and was humbled by the trust that our clients place in us. Remember when I said the FAQs didn’t come out until a mere 10 days prior to the corporate filing deadline? As a firm, clearly we didn’t feel comfortable finalizing returns in the midst of such chaos. Therefore, we recommended to every last one of our firm’s corporate clients to extend their returns. After many, many conversations all but one of those clients agreed to follow our suggestion. This was truly a humbling reminder of the trust that is placed upon us. So, what are the TPRs anyway? As stated, they affect the three main areas of business operation: Materials and Supplies, Repairs and Maintenance, and Capitalized Expenditures. Despite the inconvenience, the changes incorporated are actually VERY favorable to the taxpayer. The new law adopts a much more liberal definition of “repair” and a stricter definition of “capital assets.” This change allows many more items to be expensed immediately as repairs or maintenance vs. the previous requirement that they be capitalized and written off (depreciated) over a number of years. Remember that I also said everyone’s books and records had to be restated as if this was always the law? Well, the new law allowed for an immediate write-off of the remaining basis of any capitalized items from the past. This led to HUGE write-offs for many, many taxpayers. For instance, suppose a taxpayer owns a rental property and had the roof replaced in 2010 for $20,000. The roof was required to be capitalized at the time and deducted over future tax returns via depreciation. If the taxpayer wrote off $2,000 from 2010 to 2013 – then there would be $18,000 left to write off as of January 1, 2014. Assuming the roof would qualify as a repair, under the new TPRs, the taxpayer could take a $18,000 deduction on their 2014 return. Nice! This law led to the opportunity for many taxpayers to write off millions and millions of dollars. Did Your Accountant Do That? Well, the new law required additional filings to be able to write off prior assets. Form 3115 – Application for Change in Accounting Policy – needed to be filed with the 2014 returns. They also needed to be filed in duplicate with one copy going with the return and a second copy being mailed to the IRS through traditional postal service. Both required additional signatures. If you didn’t have a conversation with your accountant, sign additional forms, or mail anything separate to the IRS – then you most likely missed the opportunities described above for 2014. If your accountant missed the implementation of the TPRs, he or she is exposed to potential unreasonable tax return positions, willful or reckless conduct, and due diligence issues. As a result, you have an “uncertain tax position” by inherent definition that must be disclosed as part of the financial statements if they are issued to a lender. Needless to say, this isn’t a positive reflection on your business. In addition, you are at risk for PERMANENT loss of deductions for items that should have been written off but weren’t. Under examination, the auditor basically has a “free pass” to handle items in a manner that would result in the least favorable treatment for you or your company. And, obviously, you have missed the opportunity to write off any items that were unique for the 2014 filing year. Needless to say, none of the items above are inconsequential. All of that being said, for those who may be somewhat familiar with the TPRs, the IRS did pass what they touted as “relief” in March of 2015. This relief was the ability to adopt these new laws on a prospective basis vs. a retroactive basis if you were a small business. However, the relief did not include audit protection for certain items. As a result, Canon Capital decided to only take the “relief” option for clients under very limited circumstances. Well, as the summer passed and we wrapped up filing all 2014 returns – we kept on top of the developments. We also received our first glance of what other firms did in response to the new law. Our unofficial estimate as a firm is that two-thirds of other accounting firms either mishandled, or totally ignored, the new law. Large firms, small firms, it didn’t matter. It seemed like it was an even experience across the board regardless of size, location, or type of entity. This past fall, I recently completed a certificate course specifically developed for the TPRs and the current law. This certificate course involved close to 40 hours of education and two final exams. I can honestly say with much pride, we, Canon Capital, handled the Tangible Property Regulations as well as any firm I know of and consistent with the information recently provided in that 40 hours of training. If you have questions about any of this or would like to discuss becoming a client, please contact us online or call 215-723-4881.